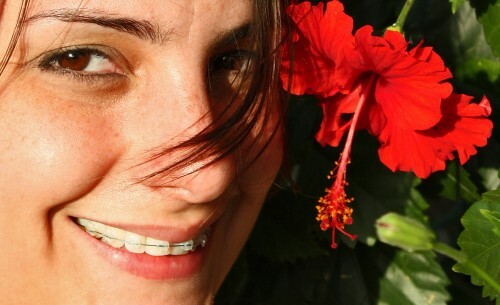 Home Orthodontics & Braces Can a Dentist Who’s Not An Orthodontist Offer Braces? I’m 26 and want to get the braces. My upper teeth is a bit crowded, not so much, but one of the teeth is a bit rotated due to the crowding. I went for a consultation from my orthodontist. He wants to remove 2 upper teeth to create room for the braces. I don’t really want to lose my good functional teeth so i went to my dentist for a second opinion. My dentist said he wouldn’t remove the teeth. But he could put in an appliance to expand my teeth to create room for the braces. The cost from the orthodontist is $9k+, from the dentist is $3k. $9k for braces does sounds a bit too much even my dental insurance covers 60% of the treatment. So now i don’t know what to do coz they’re both dental professionals. Hi Q_Q – This is a tough decision. Logic would tell me that the orthodontist probably has more experience straightening teeth than the dentist. If I were you, I would probably go to another orthodontist and explain both treatment plans that were presented to you without saying that one was from a general dentist and the other was from an orthodontist. I would then ask the new orthodontist their opinion on the pros and cons of each treatment plan and go from there. I hope that helps, Q_Q. Let me know if you have any other questions. Thanks for your comment! the expansion of arch to align teeth may end with relapse of the treatment or push the teeth outside the bone. the orthodontic are much better to evaluate and predict the complication rather than general dentist , be carful. its not the point of placing the braces in the teeth , the point is the operator well experience with the mechanics of this appliances , is the operator knowing the complication of the orthodontic treatment , is the operator knowing how to reduce the relapse after the orthodontic treatment finished. for that the orthodontia specialist are better than a general practise , its easily to achieve a good align teeth in simple cases but are they ready to correct the complication . I am a qualified orthodontist – I spent an additional 7 years post dental training obtaining specialist education in orthodontics : MSc PhD, Royal College Fellowships and memberships, which were assessed by examinations- long, difficult and confronting examinations – entailing substantial personal expense and loss of earnings. My training involved actual supervised treatment of live patients under long term supervision by experienced university teachers and hospital clinical consultants (in the UK). Like me I am sure that orthodontists who make these kind of sacrifices do so for the benefit of the community and their general dental colleagues. Dentists who undertake weekend ortho courses have no examinations to worry about to motivate them to learn the art outside of the very narrow lecture format. Dentist oriented ortho courses are promoted to increase practice profitability and do not promote a deep understanding of what is an unpredictable and difficult art. There are no long term treated patients under supervision , no scientific training just a mechanistic appliance based ‘how to do it’ format – These course gloss over the complexities and unpredictability of ortho treatment and make it sound easy. I was awarded 3 national prizes (during my training) from the Edinburgh Royal College of Surgeons and the British Orthodontic society and I have 10 more years experience since that time and I don’t think orthodontics is easy. Today I saw a patient in their early 20s whose dentist over 3-4 years has turned her deceptively mild malocclusion into an expensive disaster – I think she will lose her first molars before she is 40 as a direct result of his treatment, and she needs probably another 2 years of now very complex ortho retreatment to rectify his incompetent negligence- this dentist has a long list of ‘how to do it appliance based’ courses he attended to gain his ‘expertise’ published on his website – I don’t think he learned anything but of course he has never had to pass an orthodontic exam to validate his claims. Specialists resent the encroachment of general dentists – because it disrespects the sacrifices that specialist colleagues have made for the dentists benefit as well as the public – if a GDP is creaming off the so called easy cases this is also draining the profit out of specialist colleagues practices and making the sacrifice to become an expert less viable. If you are a dentist who is truly interested in orthodontics – do the course properly pass your exams and have your dedication recognized as a specialist. If you are a dentist who puts attendance certificates into frames and on to your waiting room walls to deceive your patients about your (lack of ) expertise – you need to reexamine your ethical compass and rediscover your professionalism. If you are a patient seeking the answer to should I go with one treatment plan versus another -there are many ways to treat most malocclusions – there is a compromise to be made one way or another and you will only be able to explore the options with a practitioner who can offer you options- extractions /surgery/functional appliances what ever. Only Orthodontist can give you proper treatment.. I just want to say thank you for your advise! It’s been almost a year and i got my braces from a very good orthodontist. He is more expensive than the general dentist, but he’s worth every penny! I’m glad that i made the right decision and i would like to thank you for your honest opinion! Hi Just wondering if we need to visit the dentist first to see if i need braces or not or can we just go to an orthodontist straight away, thankyou. Thanks for offering this website and your advice! I have been wanting to get my teeth redone for a long time. I need orthodontic work and my canines either re-bonded or veneers. The last dentist I went to also recommended getting my teeth whitened before the veneers, which makes sense. So, I have a bit of work to be done. I (obviously) want a fair price and satisfactory results, and I’m not sure in what order it makes sense to do the procedures. So, I want to get some consults and shop around. I’ve been doing a lot of online research to find dentists with good reviews (via Yelp, CitySearch, etc. ), but I’m having a hard time. Most dentists don’t have many, or sometimes any, reviews. Do you have any suggestions? Is there a good dentist-reviewing website out there? Hi, I have a question, although this is a rather old article. My dentist said that she can get me braces since she claims that it’ll be “better than retainers”, because my teeth will relapse and braces will give a permanent fix. Not only that, but she said that she’ll tighten it more so that it’ll only take about 12-16 months, compared to 2 years. It’s a little convincing since she did braces for my brothers as well and nothing has happened, but the fact that she’s tightening it more makes me a little queasy. I feel like something could possibly go wrong. I’ve heard myths that dentists don’t do it as well as orthodontists, so this makes me a little nervous, but I’ve been trying to think of the best way to get my teeth fixed so that I can look my best for every oncoming convention I go to. 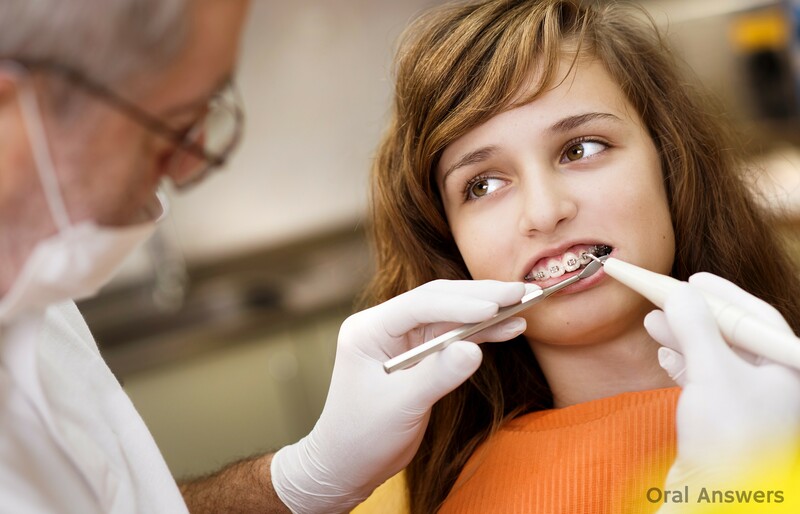 Hi Angeline – Orthodontists do receive more training in straightening teeth and can handle the most complex cases. If your case is fairly straightforward and the dentist you are seeing has experience in doing braces, that may be the best, cheapest route for you to go. I would discuss your concerns with your dentist – it is possible to move teeth too quickly and this can cause damage to the root of the tooth. I hope that helps – Good luck! hi Angeline , what i got from your question , that you already have a fixed retainer and the dentist want to put a braces in order to fix your teeth better than the retainer. the braces have a mechanical prescription and any wire placed inside it will end with action and reaction . also the braces placed for long term are risk of decalcification or what called white teeth patches (decay) . always look for orthodontic opinion even if its simple condition. I’m confused, is the author saying that these 2 statements are myth’s or truth’s that he agrees with? Good job not confusing the hell out of me. Most of orthodontists were the top 10% students in the dental school who got into competitive ortho program and had proper training. Hello. Your article was very helpful but I am still doubtful regarding the work of a general dentist offering braces. I am 16 and I have spaces between my teeth so the general dentist said that I don’t need any extractions. The dentist is very good, he did my dad’s root canal and he cured his dental problems by putting that bridge.What should I do? Should I rely on this dentist and get my braces on by him? Hi Rhythm – Usually extractions are only used when you don’t have enough room in your mouth. If you have spaces, you likely wouldn’t need extractions. The main thing is that you should be comfortable with whoever is doing the treatment for you. You could ask the dentist about his experience level and ask to see before and after photos of teeth that he has personally straightened with braces. Many general dentists do a good job even though they aren’t specialists in orthodontics. I hope that helps! Thank you so much. The answer was really very helpful. Also I am a singer so I was not very comfortable to open my mouth wide to sing high pitched songs because of my upper jaw which gives me a very dumb look while singing so I usually prefer not to sing such songs but my parents are insisting me noy to do anything with my natural face, still I am getting my braces on so they have left yhe decision comletely on me and I am very scared that in such situation where we can’t afford a huge amount for my braces my parents will held me responsible if some fault occurs. So in this case should I really rely on the general dentist or should I simply visit an ortho? I really need help! Hi Rhythm – All of the orthodontists in my area offer free consultations. If I were in your shoes, I would call to make sure they have free consultations, then go around to a few and see what they have to say. Find one that you are comfortable with, and I think you’ll be fine. Good luck! Thank you for the informative article. I noticed you mentioned “standards of care.” How would I go about locating the specific standards of care mentioned? Scientific research has repeatedly shown that orthodontists consistently provide better quality orthodontic treatment outcomes than general dentists. Orthodontists also consistently provide these higher quality results in less time than general dentists. It makes sense. Orthodontists typically have far more training than general dentists in this area. General dentists do a little of everything, including braces and Invisalign. Orthodontists only do orthodontics. This isn’t me picking on general dentists. This is just an attempt to provide the readers with objective evidence upon which to make an informed decision for themselves and their children. As the author states, most orthodontists give free consults so it won’t hurt to speak with one before making your decision. In order to give full disclosure, I am an orthodontist. That’s actually really interesting that an dentist could potentially offer braces to their patients. For me and my needs, I think I would still prefer to stick with an orthodontist. Like you mentioned, they are specifically trained to be an orthodontist and having a specialist work on my mouth just sits better with me. Thanks for the great info! I am an orthodontist (DDS, PhD) for 10 years. I’ve been working both as an academician and a private practitioner. The truth is, it’s not easy to become an orthodontist, and if you really want to be a qualified dentist to do orthodontic tratment, than yes you must be an orthodontist which is going to take at least 2,5-3 years. Because of the nature of this treatment, it generally requires approximately 2 years already, so if you become experienced at this type of treatments (orthodontics), weekend courses, short term classes or some periodical courses sponsored by some commercial firms to gain more money (because they want to sell their products, if they can sell not only to orthodontists but also to dentists, they can make more money) are definitely NOT enough! Just think about that, if it would be enough, why the hell is orthodontic education be needed and why do we spend more years of our lives for education and pay considerable amount of money to schools to learn orthodontics? Does that make sense! I can not tell you how many cases I treated again because of wrong orthodontic treatments which had been done by general dentist. It’s simply because, general dental education does not give enough knowledge and experience on the field of orthodontics. The AAO (American Association of Orthodontics) is right about this issue and in fact, general dentists should forbidden to offer and provide complex orthodontic treatments especially those which requiring braces. I think the issue is also the price. $3k for a Dentist to do it vs $9k for an Orthodontist – a massive difference! Our Orthodontist wants to remove 4 teeth at the back before braces but the Dentist believes this is going to cause ongoing trouble with have alignment and that removing the back teeth doesn’t solve the issue of space. He believes we need to remove possibly one middle bottom tooth and that’s all?